Honor Yoga is a community offering classes and workshops to yoga practitioners of all experience-levels. With an emphasis on creating an approachable, loving environment to honor the mind, body & self, it’s no surprise that studios choose to celebrate members with UPshow. Honor Yoga touts a strong belief in the power of a tight-knit community where all feel welcome. 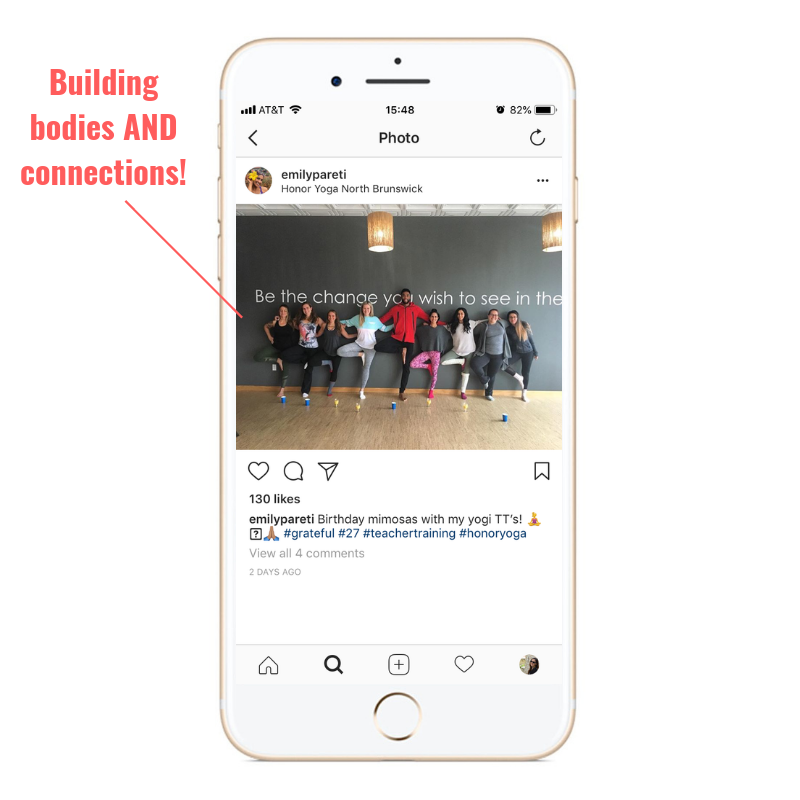 This is a value that many appreciate in a health and fitness space, and it means so much more when proof of that community comes directly from a member! This user-generated content is an incredibly effective way to market via word-of-mouth, as it is significantly more trusted than traditional advertising efforts. One thing that many health and fitness spaces don’t often think about is the influencing power of their members! While to you a member or customer is simply “Devin with the cool yoga mat,” online they could be a massive presence with hundreds or even tens of thousands of people paying attention to their choices, advice, and recommendations. When @hobokengirlblog gives Honor Yoga a shoutout, her audience becomes 46.6k potential new members. With everything from specialty classes to training for all types of instructors, Honor Yoga has much more to offer than your standard sun salutation. With standard signage like flyers, however, these unique marketing materials could get lost in the fray. By putting the announcements on UPshow, every class, workshop, and promotion gets its own dedicated time in the spotlight, so members are sure to notice. Plus, Honor Yoga takes spotlights a step further by using them celebrate their dedicated members and instructors, adding an extra something special to their UPshow usage.